Sugar in the Raw's first product was the Turbinado Sugar, grown in the tropics. Unbleached sugar retains its color and flavor much better than processed sugar. Natural Sugar with a fantastic, rich taste! This is the one that you can easily start with for adding to your coffee, sprinkling on cereal and in smoothies. Taste much like your bleached white sugar, only much better!! Sugar in the raw can be used cup for cup to replace white sugar in any of your recipes. The properties are so similar that it will not affect your baking any. Stevia in the Raw comes from an herbal plant stevia that is grown and the leaves are utilized to make this zero calorie sweetner. I actually have grown stevia before in my herb garden but didn't get much further than that. I would love to take those leaves and make it into usable product but it is rather time consuming. 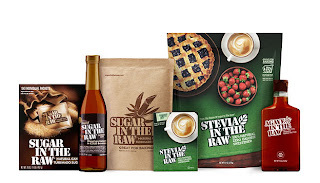 I was super excited to find Stevia in the Raw right in my local grocery store. I was able to replace the sugar and calories in my coffee, and other things I would sprinkle sugar on. It doesn't taste exactly like sugar, so you may have to get used to it. I got used to it fairly quickly and would carry a packet in my wallet to sweeten my tea at restaurants. I small packet of Stevia in the Raw sweetens as 2 tsp of sugar would. Agave in the Raw comes from the center of the blue Agave plant grown in Mexico. It is 25% sweeter than pure sugar which allows you to use less in your baking. As a liquid it mixes in real nicely to tea and coffee as well. You can also use agave in the raw for baking and in recipes. 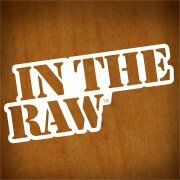 In the raw has some great tips and recipes for using this product. They have coupons you can print out on their site to try your first sampling! Their prices are already very reasonable, but a coupon is just bonus! Enter to win a In the Raw Family pack of products!! USA only. Ends Sept 22nd. Follow the Rafflecopter for easy entires!! I would love to try their Stevia. I have had some great Stevia and not so stellar. I love their sugar in the raw so I am sure it would be amazing! Thanks for the giveaway! I love their products. Stevia definitely is an acquired taste, but worth it if you can replace your sugar intake!